Actinic ecommerce, although it may be lacking the worldwide recognition and popularity of shopping cart giants like Magento, is all-in-one the solution for prosperous online business. An e-store+hosting, lots of free design templates, multiple currencies, multilanguage storefront, stock control and even phone and email orders system - Actinic offers a complete “shop in the box”. There are a few “but’s”, however, that can make you think twice before choosing this shopping cart or compel you to move away from Actinic if you’ve already started off with it. First, Actinic is a UK-based platform, so it is not really convenient for international stores aimed at USA or customers outside Europe since phone calls are going to be costly. Secondly, Actinic has a product limit - the biggest number allowed is 10,000. So, for a business that grows rapidly a more scalable solution might be required. Third, Actinic is a hosted platform - and in case you’d like to gain more control over the hosting, uptime and security - you should change the cart. Finally, Actinic is pricey, and monthly payments for the package with 5,000 would be over $100. All in all, if at least any of the abovementioned points bother you, why put up with it? There exist dozens of ecommerce software out there, and surely you’d be able to find a better suited one. For example (and a really great one), let’s look at Magento. You surely have heard of it, as it’s frequently called shopping cart #1. No wonder why - it’s open source, very feature rich, scalable and customizable - and it’s free! Let’s compare Actinic to Magento to see how it deals with the “but’s” we mentioned above? Since Magento is open-source, you can tweak it to work excellent for any location - wherever you choose. It is a self-hosted platform, so you can select the hosting that would best suit your store needs. It offers a built-in CMS, which allows running a website along the e-shop, start a blog etc - to be closer to your customers. Unlike Actinic, where you cannot get access to the source code to modify it according to your specific requirements, Magento allows you to do everything you wish - whenever your imagination goes. Magento has thousands of extensions and addons for all tastes, free and paid, presented at its marketplace. Actinic apps are quite hard to find. There is way more to Magento than this post can describe, so the best way to get to know it is download it for free and try it out. When you decide to move from Actinic to Magento (or probably you already want to do it), make sure you check out the following infographic with the tutorial on moving your data between these carts using Cart2Cart. 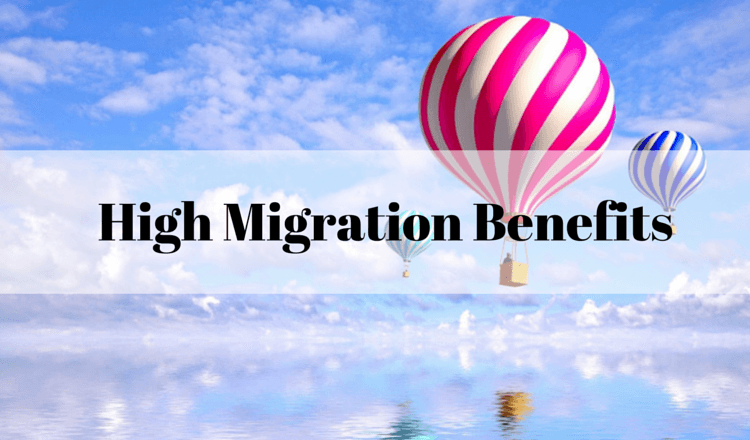 Migration from Actinic to Magento may seem a very hard thing to do, but with the right tools like Cart2Cart migration service you’ll be pleased at the ease and speed of the whole thing. So, set up the free Demo now and make the first step to your dream website!